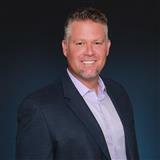 Dustyn joined the family business, RE/MAX of the Islands, in 2000 assisting in the development of the vacation rental and annual rental management programs. Later Dustyn helped oversee the onsite rental program of over 80 units at Blind Pass Condominium while transitioning to a real estate agent. Dustyn is now a licensed real estate broker who has earned the Sanibel & Captiva Island Specialist(SCIS) designation, expanding his knowledge of the Land Development Code and Ecology of the islands. He has also earned the ePRO designation, Short Sale & Foreclosure Resource(SFR), and Certified Distressed Property Expert(CDPE) designation for dealing with short sale and foreclosure properties. With a strong background in finance, rental management, and commercial investments, Dustyn specializes in the marketing of investment properties and vacation homes & condos throughout SW Florida's barrier islands. Whether you are buying or selling, "Trust in Dustyn for all of your real estate needs!"